I bought a "Thai Black Banana" tree this spring. It was about 2' tall when I planted it in the food forest... now look at it! It's over 12' tall. That is one fast-growing banana. This type is sold for landscaping, not for eating; however, some of the landscaping types also have edible fruit. We'll see if it lives through the winter, and if it does, what it produces. 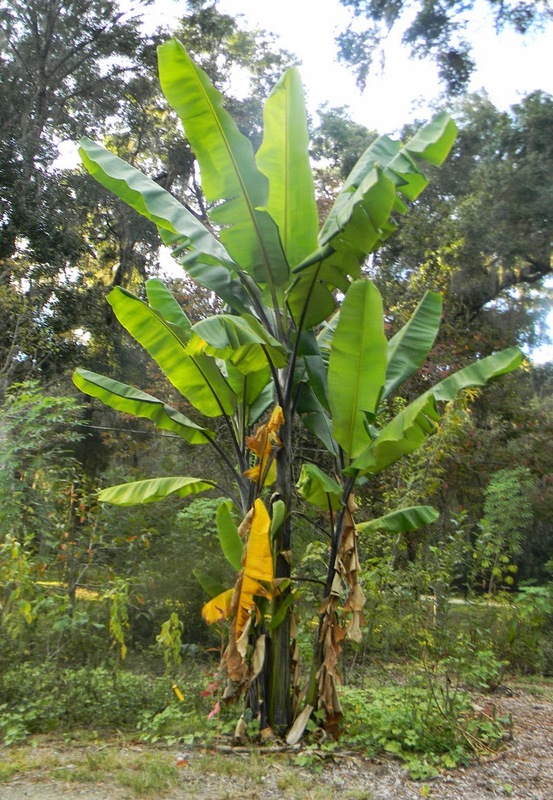 Anyone ever grow this type of banana before? I'd love to know if it's more than just a pretty ornamental. I've had little luck searching it out online.